Aruba Jamaica ooh I wanna take ya! I’m beginning to feel like a Beach Boys song of late having travelled to most of the locations listed in the song. We have now arrived in Aruba the last island in the Dutch Antilles and I guess it feels like we are about to finish our adventure in the Caribbean. Our next port of call will be the remote San Blas Islands located in the very west of the Caribbean sea but they just won’t have the feel of the Eastern Islands with all that Rasta charm. 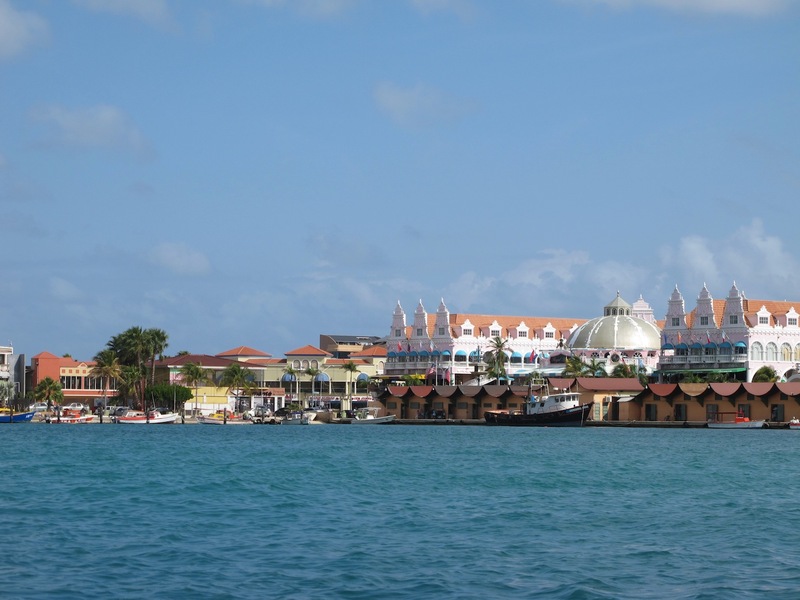 As we have progressed further west in the Caribbean the art of checking in with immigration and customs has consistently changed and our arrival into Aruba was certainly a rude awakening. Instead of anchoring Toucan, piling into the dinghy and going in search of said officials Aruba Port Authority advised us that we had to tie up at one of the commercial wharfs set aside for dealing with us grotty yachties. It isn’t that the officials aren’t nice, they are it’s the stupidity of the system that frustrates you. When we checked in it took some 45 minutes for the immigration guys to turn up and then they call you to their car, ask for your paperwork they then insist that you fill in more then when thats done they then have to take the paperwork back to the office to have it stamped and then return it to you. 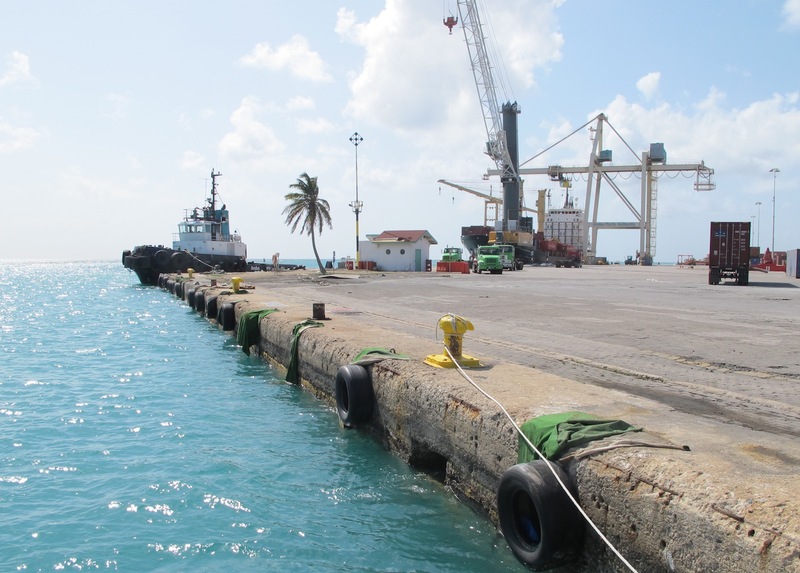 We then had another hour wait for customs and if it hadn’t been the wharf security man taking pity on us and phoned the officials to remind them that we were still waiting we would still be waiting. When they eventually arrived they followed the same procedure as the immigration guys and while this is all going on our small little catamaran sat slightly dwarfed against the wharf and the tyres that supposedly provided fending. Would work a treat if you were the Queen Mary! I think the best description of the clearing in and out process in Aruba would could only be described as a major fuster-cluck. Great wharf for the Queen Mary but not so for small Fountaine. After finally clearing in we moved to the main anchorage which is right next door to the international airport runway. Wow what a treat, we could wave to the passengers and crew of arriving jets, In fact with a long stick you may in fact scare them. 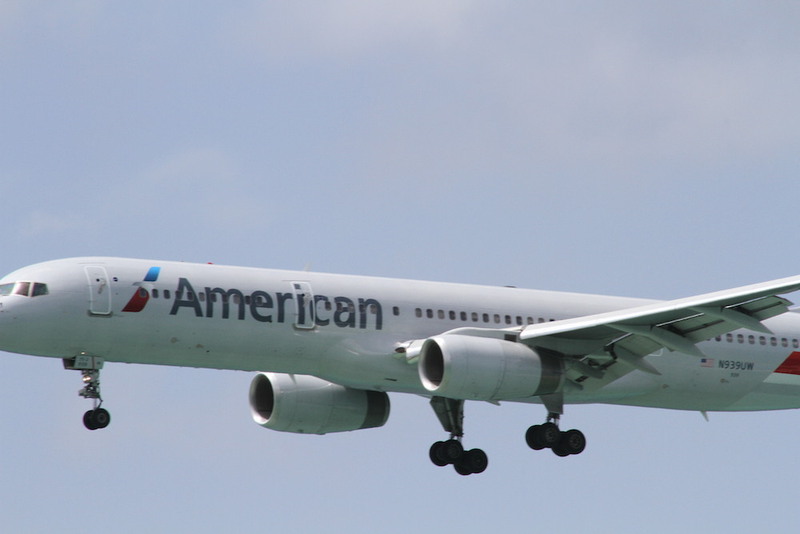 After watching and listening to a number of arrivals and departures the novelty very quickly wore off. Wave to the nice captain. The upside turned out to be surprise,surprise..….a great little beach bar. Actually it was a beach club were you could pay for the use of the deck chairs, pool etc but, where happy hour was extremely affordable. Some nice afternoons were spent chilling out at the beach club. Cruising is often described as boat maintenance in exotic locations and as you have heard from previous posts our experience seems to match the norm. 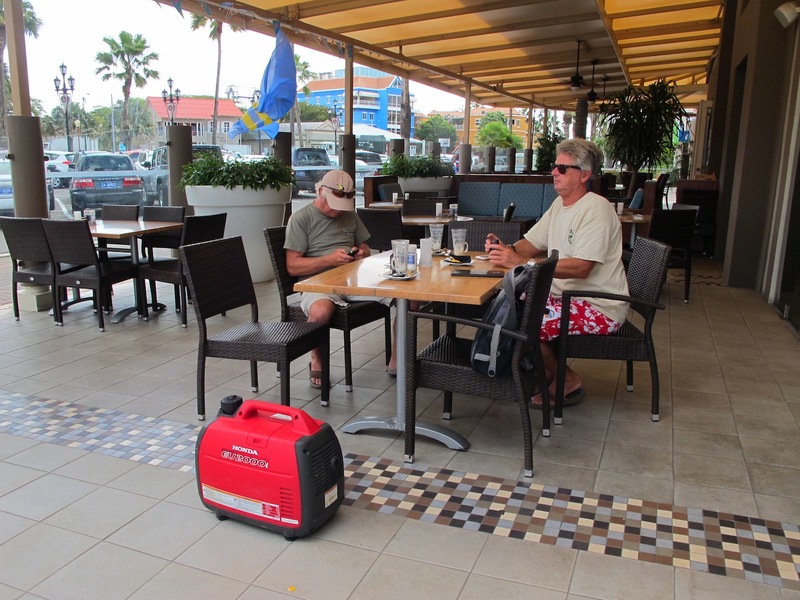 After getting our fridge fixed in Curacao (a cold beer is critical when cruising) —we had hoped to restore our Honda generator back to the land of the working but it wasn’t to be. As it turned out the igniter, whatever that is, has failed and of course the local dealer doesn’t have the part in stock but, if we wait a week it should be okay. So the Honda now goes to Panama for surgery! As we would do a major provision for the ongoing journey we decided that it would be prudent to book into the main marina in the harbour, this provided us easy access to the boat, power to help the freezer get to temperature (finally managed to get our portable freezer to work) and allow us to fill the water tanks before heading out. 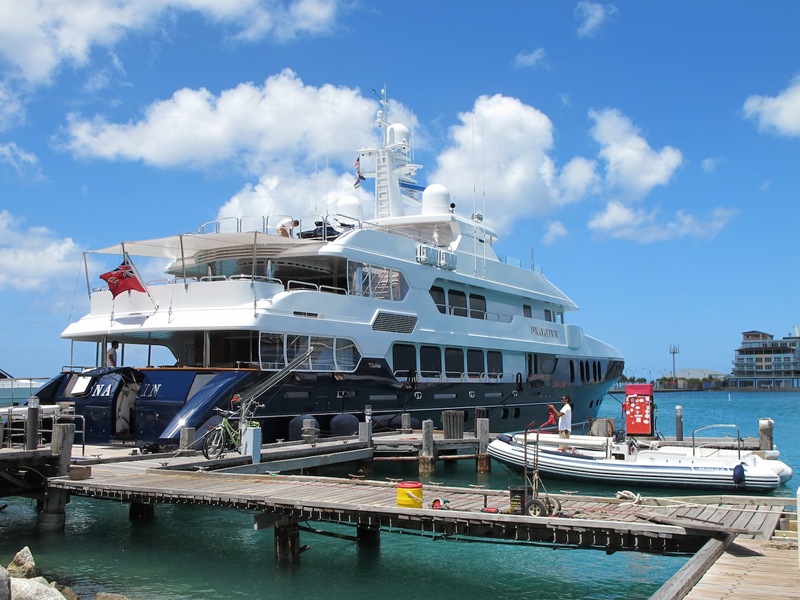 Cruising in the Caribbean means you have to pay for water and electricity when berthed in marinas. In Australia we tend to take some things for granted. Our neighbour in the Marina was a particularly large white boat with a fairly noisy group of Americans who had been on charter. Thankfully it was their last day when we arrived so only had one night of partying. The crew on the other hand were multicultural and so we spent most of the time discussing the current cricket scores and who was going to beat who. Thankfully Australia got up against both Pakistan and India otherwise I wouldn’t have heard the end of it. 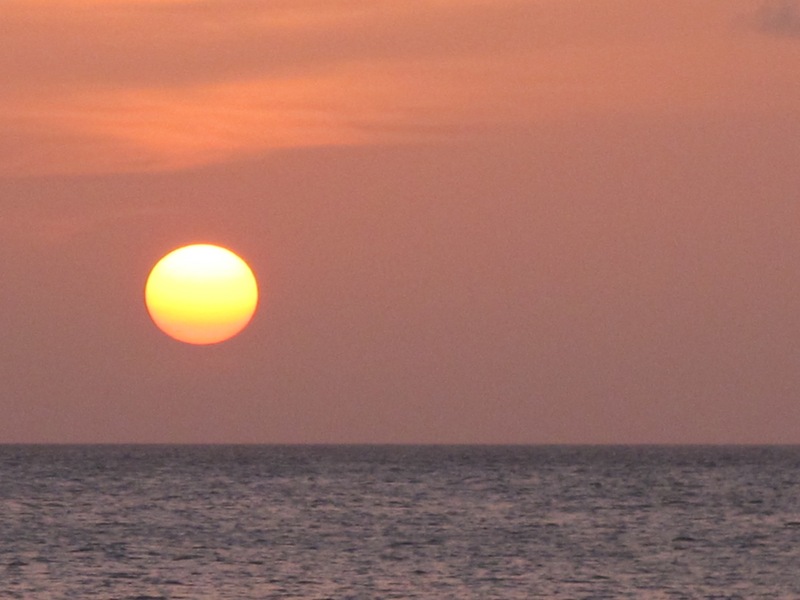 Aruba is not unlike Bonaire and Curacao with a hot dry climate and a captive market of cacti. As Aruba was only supposed to be a short stop for Henry the Honda we didn’t do get out and about and spent most of our time at the beach bar or in the Marina area including the downtown tourist sector. 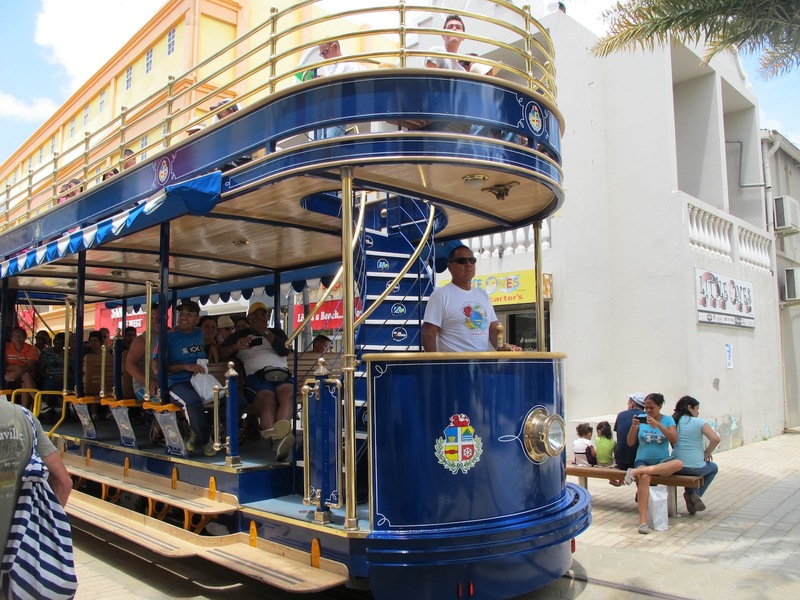 Like the other islands Aruba is very reliant on Tourism and we continue to see the same large tourist ships and the same large crowds that travel on them. I’m beginning to think we have become part of the circuit! Once we had provisioned there was no reason to stay in Aruba, sherm had continued on in his get back into scuba campaign by buying a BCD (buoyancy compensator device), Di had stocked the larder and the fridges were full, Sherm had invested in a bottle shop and henry Honda was still unemployed so it was of to the San Blas Islands on our way to the Panama Canal. Oh god, I’ve got to face the clearing out debacle again……Bugger! !